Second Grade Families spent time engaged in various activities designed to help them identify ways in which they can “partner” with God to help repair the world. The students created a mural of their feet walking along the “yellow brick road” of mitzvot entitled “I can walk with God.” We concluded the day with the families participating in two service projects: Tying blankets for Project Linus and tying packs of silverware for use at the Elijah’s Promise Soup Kitchen. This entry was posted in Lifelong Learning, Linda and Rudy Slucker Religious School, New Jersey Jewish News, Social Action/Tikkun Olam, Temple Life: General, Weekly Update on February 27, 2012 by debiwolkoff. PLEASE JOIN US AND BRING LOTS OF FRIENDS! Any questions? Email Sue Wishnow or Helene Sorin. Second Connection Shabbat Dinner will be held this Fri., Feb. 24 after services. Questions or RSVP, email Arlene Brafman. DON’T MISS the Women’s Connection Inter-generational Passover Seder: Invitations are out and we are waiting for your response!! Don’t miss this wonderful annual event on Mar. 15, 6pm-9pm. Put your own table together or sit with new friends… Bring your mom, daughter, friends and register by March 1! Contact Andrea Bergman with any questions. Temple gift shop for all your Passover needs. Volunteer at the JVS Jobothon: If you can work the phones for a shift this Sun. Feb. 26: 10am-12pm, 12pm-2pm or 2pm-4pm, please email Jane Hecht and let her know your availability. STISY Winter Food Fest! Join STISY for a relaxing afternoon of fun-filled winter activities and delicious, home-cooked food on Sun. Feb. 26, 12pm-2:30pm. $15 per STISY member/ $20 per non-member. RSVP by Feb. 22 to Tracy Horwitz. 11th Grade College Program for Teens and Parents: Please join us on Tues. Feb. 28 at 7pm to explore what teens and parents need from each other at this point in the college process. Come to the Movies at TSTI: See “Remembering the Triangle Fire” on Sun. Mar. 4 at 7pm, facilitated by Michael Hirsch. Free for TSTI members; $5 for guests. Part of the URJ’s Greenfaith Certification Program, we will now explore how the early rabbis took those foundational texts and applied them to the world and its environment. RSVP by Mon. Mar. 5 to Deborah Dalgauer. Limited to the first 15 people. GUYS… NCAA March Madness on Wed. Mar. 14 at 7:30pm begins at TSTI. $50 entry fee gets you food, drink and an opportunity to win. Great way to meet other members. RSVP to Andy Nadel. Purim Extravaganza: Please join us on Sun. Mar. 11 for the PurimShpiel at 9am followed by the Purim Extravaganza at 10am-12am. Click here for more information. 8th -12th graders are encouraged to help run the game booths and face painting at the Purim Extravaganza on Sun. Mar. 11, 9:30am-12pm. Call or email Tracy Horwitzat 973-763-4116 ext. 286. Ushers Needed! We need ushers for our Shabbat morning services. Could you spare a Shabbat morning to help out? Services are warm and wonderful, and you would be doing a mitzvah as well! If you can help, please contact Heidi Sussman. Thank you in advance. Please help TSTI go GREEN: Sign up for paperless Bulletin by emailing Sunny Seglin with your name and the email address to which you would like your Bulletin sent. For more about these and other items, log on to TSTI.org. Bring One: Please bring one item – canned veggies, beans, pasta, peanut butter, soup – each time you come to Temple to help support our community and the Interfaith Food Pantry. Transportation is available for congregants who need a ride to services and temple events. Contact Alice Forman at (973)736-3467 if you need a ride or if you can offer a ride to others. Delicious and Healthy Shabbat Dinner! Join Women’s Connection members on Mon. April 16, 11am-1pm or 7pm-9pm to learn some great new recipes for Friday night and beyond! To RSVP please make an $18 check out to TSTI Women’s Connection and mail to Andrea Baum, 60 Woodcrest Ave, Short Hills 07078. Questions – email Andrea Baum. While on Mount Sinai, Moses receives detailed instructions from God concerning the building of a portable Tabernacle and Holy Ark in which to house the stone tablets containing God’s words. God tells Moses, “Let them make Me a sanctuary, that I may dwell among them.” (25:8) The parasha describes the design and measurements of the Tabernacle and the Ark. In building and furnishing the holy space, the people are to use gold, silver, copper, fine yarns of blue, purple and crimson, lapis lazuli and other stones, ram skins, dolphin skins and acacia wood. All these items are to be gifts from the people to God. The name of the parasha – T’rumah – is translated as “gifts. Temple Sharey Tefilo-Israel is an inclusive congregation, accessible and welcoming to all. If you need accommodations, please call Karen at the Temple office. TSTI is part of Greenfaith’s “Greening Reform Judaism Certification Program”. Visit our Greening page now. While we work at addressing our impact on the environment, you can assess yours –Calculate Your Carbon Footprint. This email is as updated as possible. However, Temple information is subject to change without notice. For verification of any information, please call the Temple office at 973-763-4116 or visit www.tsti.org. This entry was posted in Weekly Update on February 27, 2012 by danielmcohen. Share your family’s news with our Clergy and with members of Caring Community. Please let us know of your family’s life cycle events or if you or someone you know is ill or in need of assistance from Temple. It’s time to relax and have fun! Any questions email Sue Wishnow or Helene Sorin. Last Chance to Register for the URJ East District Shabbaton: On Sat. Jan. 28, 8:45am-5:30pm at Congregation B’nai Jeshrun. For more information and to register, go to the URJ Website. Last Call – TSTI Women’s Connection Hilton Spa Retreat: Spend Sun. Jan. 29, 11am-5pm at the spa with friends enjoying yoga (11am and 3pm), lunch (at 12:30pm) and a 15% discount on services. Send your $50 check to Ilysse Rimalovski at 24 Euclid Ave, Maplewood, NJ 07040 or call her at 973-220-8103.STISY/Hebrew High Pizza Party: On Jan. 31, 7pm-8pm, all 9th – 12th graders are welcome to come enjoy delectable pizza, pasta, salad and dessert and the true STISY experience. Followed by Hebrew High. Enrollment not required. Please RSVP to Tracy Horwitz. Special Program for 7th-12th grade students & parents: Cookbook author June Hersh will present “Recipes Remembered” on Tues. Jan. 31 at 8pm (students report at usual 7pm start time). Support our Preschool with a Night Out Off-Broadway: See “Rated P…for Parenthood” on Sat. Feb. 11 at 8pm. Tickets are just $50 for this special TSTI preview performance…and proceeds go towards development of the new outdoor classroom! Click here for the order form. For questions, contact Erica Barton. Women’s Connection Book Discussion with Rabbi Cohen: Join with other WC members to discuss Joan Leegant’s novel “Wherever You Go” on Mon. Feb. 13, 7:30pm-9pm. RSVP to Sue Brand. Donate Prom Dresses: We are once again collecting prom dresses to donate to girls who would love to go to their prom but cannot afford a dress. They need to bevery gently used and currently in style. Please bring your donation to Temple on Mon. Feb. 13, 7pm-8pm. FREE Trips to Israel with Kesher Birthright: 10 day long trips open to Jewish 18-26 year-olds who have never been to Israel. Sign up now at www.gokesher.org. Get $1,000 Grants for Summer Camp 2012: For more information, click here, visitwww.onehappycamperNJ.org or contact Tracy Levine by email or at 973-929-2970. Bring One: Now is the perfect time to buy a little extra to give to the Interfaith Food Pantry, as January canned good sales at local supermarkets make it easy to support our “Bring One” program. Fill your cart for less and help us stock up on canned veggies, beans and soup for the many clients we serve each month. Come to the Movies at TSTI: See “Remembering the Triangle Fire” on Sun. Mar. 4 at 7pm, facilitated by Michael Hirsh. Free for TSTI members; $5 for guests. Women’s Connection Seder: Save the date – Thurs. Mar. 15, 6pm-9pm. Parasha Bo begins with the eighth plague to strike the Egyptians – locusts. The plague of darkness follows. After more failed negotiations between Moses and Pharaoh, God tells Moses that the tenth plague will occur in the middle of the night. This plague brings the death of all non-Jewish first born males. Each Jewish family must sacrifice a lamb, paint its blood on the doorposts and prepare to flee. As the tenth plague begins, even Pharaoh’s household is stricken and he finally permits the Israelites to leave. A description of the rituals and observances for Passover are found in this parasha. This entry was posted in Lifelong Learning, Social Action/Tikkun Olam, Temple Life: General, TSTI Family News, Weekly Update on January 26, 2012 by danielmcohen. Please note that the Temple offices will close early today, Wednesday Nov. 23 and remain closed Thursday and Friday for the holiday. Have a Happy Thanksgiving!!! Ushers Needed! We need ushers for our Shabbat morning services. Could you spare a Shabbat morning to help out? Services are warm and wonderful, and you would be doing a mitzvah as well! If you can help, contact Heidi Sussman. Thank you in advance. Adult Ed. Class – “Judaism and the Environment: originally scheduled for Mon., Nov. 28 is POSTPONED until Mon., Mar. 12. Bring One! We are still collecting food to meet the ongoing needs of our neighbors. Bring one can each time you or yours come to temple! NFL Night with TSTI: Save the date – Thurs., Dec. 8 at 7:30pm. Old friends and new – Come watch the NFL game and enjoy activities with fellow TSTI members at the Miami Mikes Sports Bar on Route 10 in East Hanover. Contact Andy Nadel or Jeff Karp with any questions, to volunteer or to RSVP. Shabbat Scholar and Supper: Join us on Dec. 9 to hear Jane S. Gerber, Professor of Jewish History and Director of the Institute for Sephardic Studies and the Center for Jewish Studies at the Graduate School of the City University of New York, speak about “The Impact of Sephardic Jews on the Contemporary Jewish World”. Worship services are at 6pm, followed by Shabbat dinner ($25 per member, $36 non-member). Please send your RSVP to temple c/o Tracy Horwitz. Co-sponsored by the Renaissance Group. In this week’s parasha, Isaac and Rebekah marry and Rebekah gives birth to twins, Esau and Jacob. The pregnancy is difficult and God tells Rebekah that she is carrying “two nations” and that the “elder shall serve the younger.” Esau is born first and Jacob follows “holding Esau’s heel.” As the twins grow, Esau becomes a skillful hunter in the fields while Jacob remains at home as his mother’s favored son. One day when Esau is returning from the hunting field, Jacob convinces his brother to sell him his birthright for a pot of lentil stew. Years pass and Isaac is old and blind. Rebekah instructs Jacob to disguise himself as Esau and to deceive Isaac who will then offer Jacob the blessing of a first-born son. Esau is furious and vows to kill his brother. Rebekah tells Jacob to run away to Haran and find the home of her brother, Laban, where he will seek a wife among Laban’s daughters. TSTI is part of Greenfaith’s “Greening Reform Judaism Certification Program”. Visit our Greening page now. While we work at addressing our impact on the environment, you can assess yours – Calculate Your Carbon Footprint. This email is as updated as possible. However, Temple information is subject to change without notice. 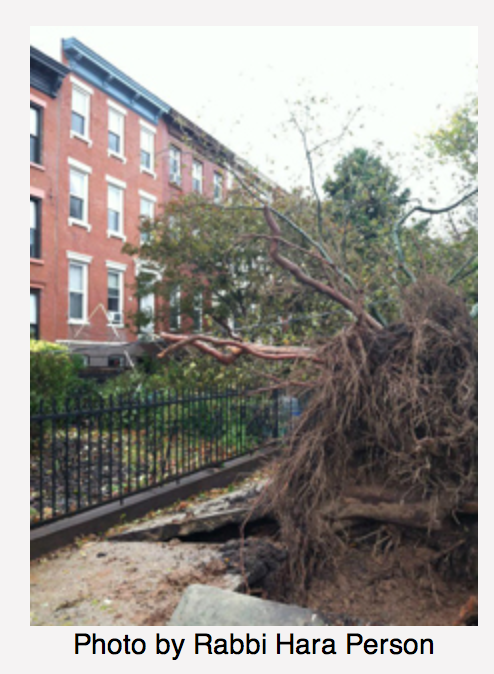 For verification of any information, please call the Temple office at 973-763-4116 or visit http://www.tsti.org. This entry was posted in Calendar, Greening, Iris Family Center for Early Childhood Education, Lifelong Learning, Linda and Rudy Slucker Religious School, Mitzvah Opportunities, Social Action/Tikkun Olam, STISY, Temple Life: General, TSTI Family News, Weekly Update, Worship on November 23, 2011 by danielmcohen. Do you have a new address, phone number, email? Let us know so we can stay in touch. Tickets: Contact the temple office if you have not received your ticket request form. Please return your ticket requests as soon as possible. Book of Remembrance entries must be returned by Sept. 14. Adult Volunteers needed to chaperone the High Holiday Children’s Programs on Thurs., Sept. 29 at 8am and/or Sat., Oct. 8 at 8am. Our teens do a fabulous job, but we need more adults to help with these wonderful programs. Registration & Payment and Forms. Call the religious school with questions, 973-763-3793. You can help TSTI go GREEN: Sign up for paperless Bulletin by emailing Sunny Seglin with your name and the email address to which you would like your Bulletin sent. Our neighbors need your help: Were you anxious about feeding your family when you were waiting for the hurricane to hit? Did you lose your power, have no usable water? There are families in our area who feel this anxiety every day. The need at the InterFaith Food Pantry of the Oranges is greater than ever for many families living in our area. REMEMBER TO “BRING ONE.” Bring a non-perishable food item EACH TIME YOU COME TO TEMPLE to be donated to the Interfaith Food Pantry. Habitat Work Day: Join TSTI volunteers to build in West Orange on Sat., Sept. 17. Age 16 and up are welcome (under 18 must be accompanied by an adult). To sign up, call Barbara Laub at 973-763-8379 or email her at Barbara Laub ASAP. Donate Your Used Media: A new, free service will pick up books, CDs and DVDs from your curb and donate them to good causes, reuse or recycle them! For more information, click here . Kick-off the New Year with Women’s Connection! Share your favorite recipe and hear about June Feiss Hersh’s book Recipes Remembered: A Celebration of Survival on Sept. 20, 7pm-9pm. Free to WC members. RSVP to Julie Fuhrman or Canty Gross. TSTI 5K RUN/WALK: Back by popular demand! Watch for more info on our 2nd Annual TSTI 5Ktentatively scheduled for Sunday, October 16. Moses continues his address to the people as they are about to enter the Promised Land. This parasha discusses the requirements for a judicial system and includes the well-known sentiment “Justice, justice shall you pursue” (16:20). Moses speaks of the prohibition against sorcery, the creation of “cities of refuge” for those who have committed murder inadvertently, the rules regarding war and who should be exempt from battle and the laws pertaining to the appointment of a king. The parasha concludes with an explanation of what shall be done by a community if a dead body has been found in its midst but the murderer is unknown. This entry was posted in Temple Life: General, TSTI Family News, Weekly Update on September 2, 2011 by tstinj. Come As You Are: Friday evening Shabbat services are casual and begin at 6pm throughout the summer. Whenever possible, services will be held outside. and payment for the 2011/2012 school year is a two-step process, using the following links – Registration & Payment and Forms. Call the religious school with questions, 973-763-3793. TSTI Hits Major Milestone in GreenFaith Certification Project: Click here for more information. You can help TSTI go GREEN: Sign up for your paperless Bulletin by emailing Sunny Seglin with your name and the email address to which you’d like your Bulletin sent. East African Famine: To read about the URJ’s efforts in that area or to donate to the cause, visit the URJ website. Register your college student for the TSTI College Corner: Students receive emails connecting them to our community and several “care” packages. As soon as you have their correct mailing address, email Tracy Horwitz. Hunger doesn’t go away just because School is out. It is more important than ever to remember to BRING ONE: Bring a non-perishable food item EACH TIME YOU COME TO TEMPLE to be donated to the Interfaith Food Pantry of the Oranges. And maybe even make a few special trips now that our Schools are not in session!Habitat Work Day: Join TSTI volunteers to build in West Orange on Sat. Sept. 17. Age 16 and up are welcome (under 18 must be accompanied by an adult). Please email Barbara Laub or call 973-763-8379 asap to sign up. 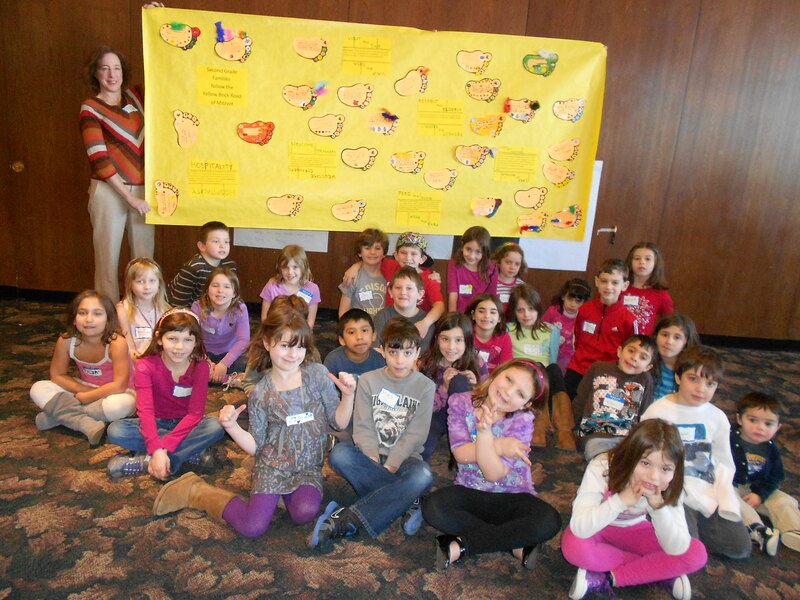 Volunteers Needed: Teens and Parents needed to run and chaperone the High Holy Days Children’s Programs on Thurs. Sept. 29 at 8am or on Sat. Oct. 8 at 8am. Please email Tracy Horwitz if you can help out. This email is as updated as possible. However, Temple information is subject to change without notice. For verification of any information, please call the Temple office at 973-763-4116 or visitwww.tsti.org. for information on the Funds available and for Acknowledgment Cards to be sent. It’s an easy way to show you care! This entry was posted in Calendar, Temple Life: General, TSTI Family News, Weekly Update, Worship on August 11, 2011 by tstinj.